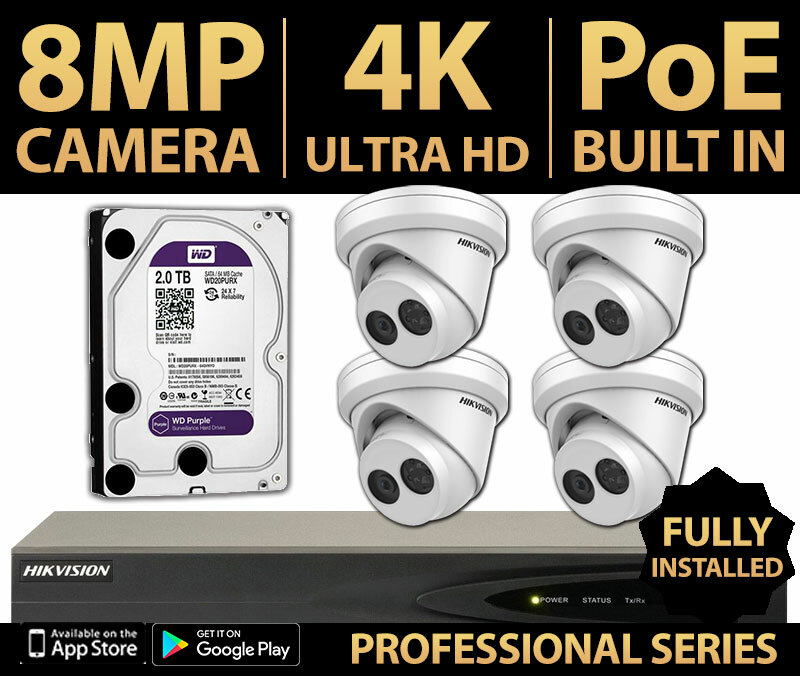 Set and forget allows you to continuously record video footage from up-to 4 HD security cameras for 7-10 days+ onto a 2TB hard drive, even longer with motion detection. When the recorder becomes full, it intelligently overwrites the oldest video footage. See what’s happening live on your iPhone, iPad & Android devices. Any time of the day or night simple open our free app to access your camera system securely from anywhere in the world for easy peace-of-mind. Give us a call 1300 766 110 Today! 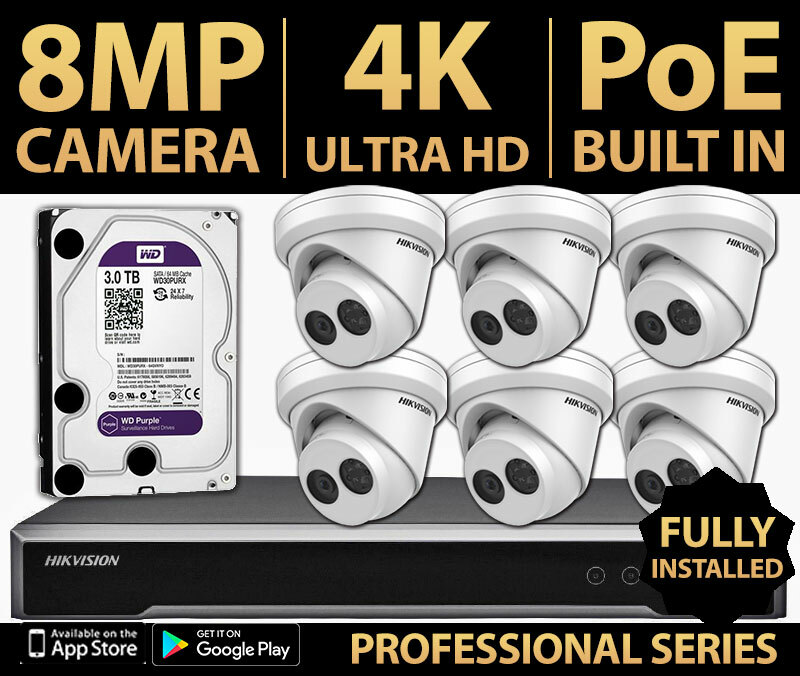 Set and forget allows you to continuously record video footage from up-to 8 HD security cameras for 7-10 days+ onto a 3TB hard drive, even longer with motion detection. When the recorder becomes full, it intelligently overwrites the oldest video footage. 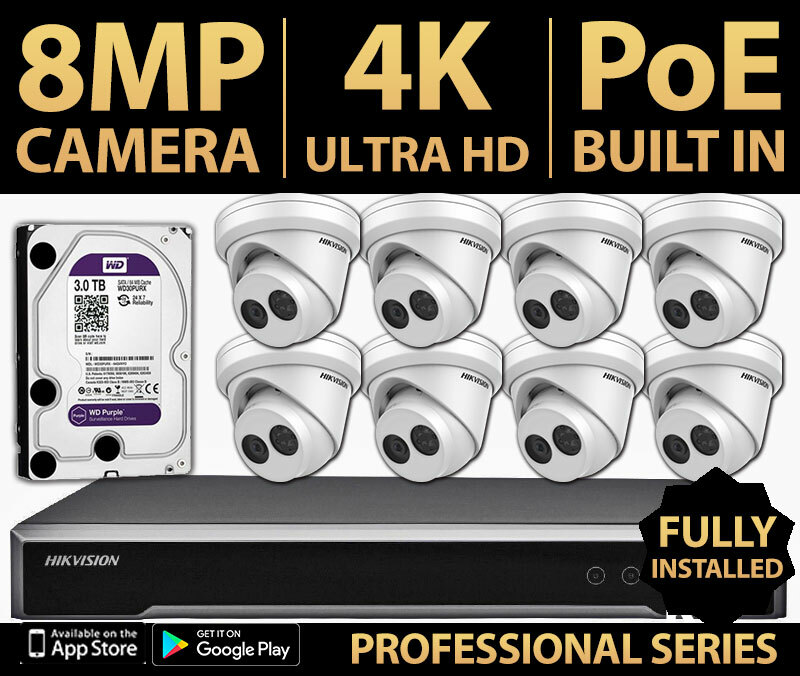 This 6 HD camera package comprises of state-of-the-art gear to deter burglaries from your home or business. Precision Security Australia is rated 5 stars on Google from 15 user reviews.